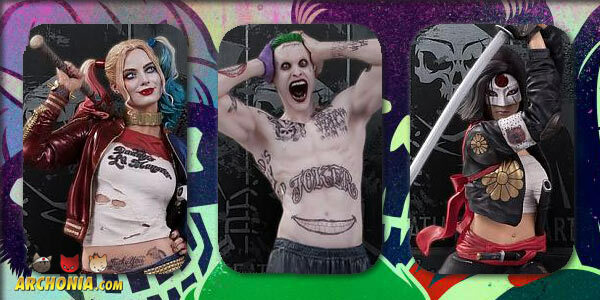 IGN took the opportunity at Toy Fair last weekend to get a closer look at the amazing DC Collectibles statues for the upcoming Suicide Squad film! Sculpted by James Marsano, who also did the amazing Batman v Superman statues, these babies are among the best 1/6 scale pieces of all time! Take a look below! If you are as much in love with these as I am you can preorder them here! This is going to be a glorious year for DC Comic fans at the movies, so it’s only right that we celebrate that with our collections as well! Suicide Squad will head into theatres on August 4th and I will be first in line, without a doubt!